Rosenstock-Huessy was a prophet who, like many great prophets, failed in his own time, but whose time may now be coming. Without Eugen, I would never have written The Star of Redemption. Rosenstock-Huessy’s is a powerful and original mind. What is most important in his work is the understanding of the relevance of traditional values to a civilization still undergoing revolutionary transformations. I am a poet by vocation and, therefore, do not expect to learn much about Language from a writer of Prose. Yet, half of what I now know about the difference between Personal Speech, based upon Proper Names… words of command and obedience, summons and response, and the impersonal “objective” use of words as a communication code between individuals, I owe to Rosenstock-Huessy… I can only say that, by listening to Rosenstock-Huessy, I have been changed. Rosenstock-Huessy’s Speech and Reality is to sociology what Galileo’s “Discourse on Two New Sciences” is to modern mathematical physics because both books transform philosophy—natural in the case of Galileo and social in the case of ERH—into a positive science. Building upon the works of Augustine, Vico, Hamann, Herder, Goethe, and Saint-Simon, and working in tandem with Franz Rosenzweig, Rosenstock-Huessy has provided an urgent and timely program for the social or human sciences. It is based on the recognition that to be human is to be torn between the intersection of the inner and outer dimensions of space, and the ‘trajective’ and ‘prejective’ dimensions of time. This is what he calls the cross of reality. Our different names, traditions, cultures, and institutions are the creative responses of founders and communities to past catastrophic events and processes. Rosenstock-Huessy calls upon us to pool and contribute to the spiritual resources that have been stored in the great treasure houses of languages and traditions, and create institutions for a genuine future peace. Thus his greatest work—the two volume Sociology, In the Cross of Reality—is devoted to achieving what he calls the Full Number of the Times. And what is the Eugen Rosenstock-Huessy Fund? The Eugen Rosenstock-Huessy Fund began in the early 1950s as a line item in the budget of Dartmouth College’s chaplaincy program, the Tucker Foundation, when the students recording Rosenstock-Huessy’s class lectures needed to raise money to buy tape stock. Former students went on to print a number of Rosenstock-Huessy’s books under the imprints “Beachhead” and “Four Wells,” and, after the Fund’s reinvention as a Vermont non-profit in 1976, through its publishing arm, Argo Books. Over the years, the Fund has underwritten translations and publication of Rosenstock-Huessy’s works in France, Poland, Russia, and China. The Fund has also transcribed, published, and remastered the hundreds of hours of lectures which his students and friends had recorded, microfilmed his published and unpublished works, and created a digital archive of the letters and documents collected by the Rosenstock-Huessys. Clinton C. Gardner founded Argo Books and ran it for almost twenty years, keeping Rosenstock-Huessy’s English-language works in print and issuing hitherto unpublished manuscripts as books; after Gardner’s retirement, Mark Huessy ran Argo for another twenty years as executive director of the Fund. (In Germany, the Eugen Rosenstock-Huessy Gesellschaft did similar work with the German-language works, and in Holland, the Respondeo Association published a number of translations into Dutch.) The Fund closed Argo Books in 2013, after finding another publisher to take on long-term responsibility for keeping Rosenstock-Huessy’s works in print: Wipf and Stock of Eugene, Oregon, who also publish Jacques Ellul and William Stringfellow. 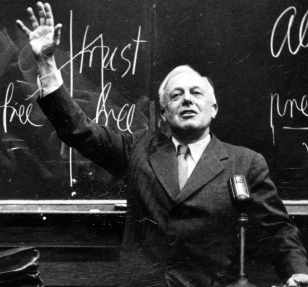 In 2016, the Eugen Rosenstock-Huessy Literary Heirs generously agreed to make all the lecture recordings available for free download on the Fund’s website. (To see the selection of available lectures, click on the “Rosenstock-Huessy Live!” button in the navigation stack to the left, or here.) The Eugen Rosenstock-Huessy Literary Heirs ask that you consider making a donation to the Fund in lieu of payment for listening to or downloading the lecture audio and transcripts. 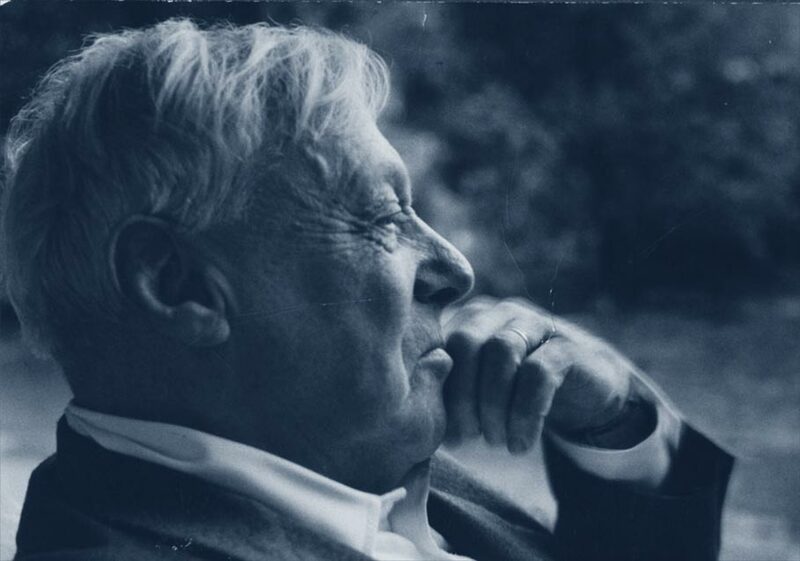 The Fund continues to serve the interest in Eugen Rosenstock-Huessy’s life and work. The Fund and its programs, including the ongoing expansion of this website, are entirely dependent on private contributions. Please consider making a tax-deductible donation to the Fund by clicking on one of the “donate” buttons on any page of this site. If you would like to connect with other people interested in Rosenstock-Huessy, you should consider joining the Eugen Rosenstock-Huessy Society of North America. The Society’s website offers a curated list of publications on Rosenstock-Huessy, including books, articles and essays, dissertations, and unpublished works; a compilation of articles about Rosenstock-Huessy from the Harvard Crimson; some twenty essays by Bill Cane, Wayne Cristaudo, Norman Fiering, and Peter Leithart; and links to online material by Robert Castle, Cristaudo, Douglas Floyd, Charles Howard Hartman, Leithart, Mike McDuffee, Scott Preston, and Donald Williamson, Jr. The members of the Society are a great resource for opinions and answers to questions on almost any aspect of Rosenstock-Huessy’s work. The Eugen Rosenstock-Huessy Fund will gladly consider posting information about new titles by, about, or related to Eugen Rosenstock-Huessy and his colleagues on this website. The Fund requests full bibliographic information as well as the URL of a cover picture (if available) and the URL for more detailed information about the publication. The Fund requests the courtesy of reciprocal links to www.erhfund.org. To contact the Fund, get in touch with us here. Publishers interested in publishing translations or new editions of Rosenstock-Huessy’s work may also contact the Eugen Rosenstock-Huessy Heirs through the Fund. Margrit and Eugen Rosenstock-Huessy at Bob O’Brien’s farm in Tunbridge, VT in 1958.